It’s hard to imagine that there was a time in music when Will Smith was one of the hottest rappers on the scene. Well, it actually happened; many years ago… in 1997. Though, even then, his credibility as a rapper was debatable. Undeniable was the impact of classic songs such as 1991’s “Summertime” and 1988’s “Parents Just Don’t Understand” alongside DJ Jazzy Jeff, using the moniker The Fresh Prince. However, that success had long since faded and he became best known for his lovable (but, albeit, corny) role on the sitcom The Fresh Prince of Bel-Air. Following the end of the sitcom in 1996, Will Smith embarked on his solo rap career to compliment his budding film career. With the success of films like Bad Boys (1995) and Independence Day (1996), Smith began to distance himself from his TV role and was about to have his best year yet: 1997. It began with the release of the film Men In Black and the release of its accompanying single and soundtrack album. “Men In Black,” the song, featured Coko of R&B girl group SWV was released in June of 1997 and became a monster hit. It samples “Forget Me Nots” by Patrice Rushen for its chorus. The subject matter of the song is directly connected to the film, referencing aliens and the like. However, because of how undeniably catchy it is, it was an undeniable hit, peaking at #1 on Billboard’s Hot 100 airplay chart. From there, the album yielded a string of successful singles. First, was “Gettin’ Jiggy wit It” which shot to the top of the charts, and was the perfect party anthem. It features an inescapable “na-na-na-na-na-na” chant that was annoyingly catchy. Following “Jiggy” was the adorable father/son ode “Just the Two of Us” which peaked at #20, and featured a guest appearance from his oldest son, Trey Smith. The chorus is a rewrite of the 1980 hit of the same title by Grover Washington, Jr. The song has become one of the few available go-to Father’s Day tracks. Finally, the singles from Big Willie Style concluded with the international smash party anthem, “Miami.” For anyone alive and breathing in 1997-8, it’s probably impossible to dissaocate the phrase, “welcome to Miami” from the random woman in the song who says it (and then repeats “Bienvendo a Miami” in Spanish). Otherwise, the album was filled with, in hindsight, lackluster filler tracks. The collaboration with TLC’s Left Eye is passable, as is “It’s All Good” which samples the same track as “Rapper’s Delight,” Chic’s “Good Times.” Perhaps what Smith is most equally praised and criticized for is the fact that his album does not bear explicit lyrics. As a father, Smith made a conscious decision not to make profanity-littered hip-hop music. While some critics (and other parents) praised this positive direction, hip-hop enthusiasts often criticized him for being disingenuous and, well, corny. Be that as it may, Smith still has swag, a respectable flow and a certain musical sensibility. He’s certainly no Nick Cannon. Indeed, Will Smith’s most successful musical moments were attached to films, such as Big Willie Style’s lead single “Men In Black,” and 1999’s “Wild Wild West” (from the film of the same name, and his 1999 album, Willenium). 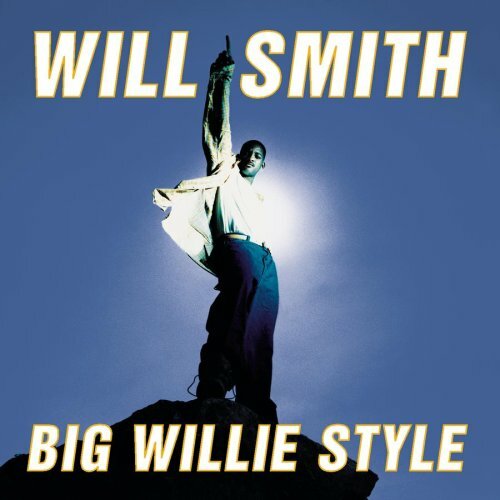 However, despite Willie Style and “Wild Wild West,” Smith has not been able to reclaim similar success in the music world since the turn of the century. Regardless, it’s hard to look back at 1997 and not remember Big Willie Style with fondness, but Will Smith’s music career quickly became a small footnote, a stepping stone, to his hugely successful, Academy Award nominated acting career.